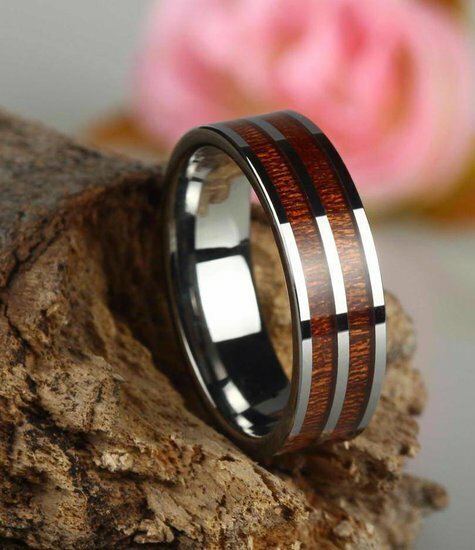 Instead of settling for a gold or platinum ring that will look similar to the vast majority of other wedding and fashion rings, choose a beautiful and unique tungsten and wood ring. Konifer Karbon's KT002 Ring features three slim bands of tungsten alternated with two wider bands of stunning Koa wood from Hawaii. Tungsten is far more affordable than gold, and up to 10 times stronger. 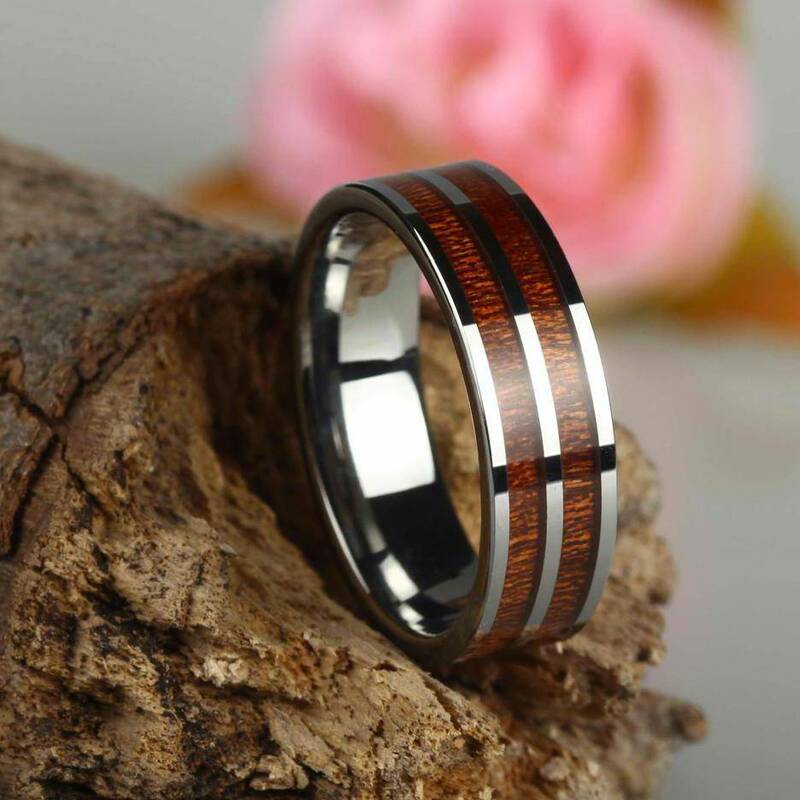 The wood inserts are protected through a waterproofing method so your tungsten and wood ring is designed to last a lifetime. With a perfect balance is silvery metal and deep red wood, this unique ring is a bold piece of jewelry for both men and women. Refer to this document to pick the right size ring: http://www.lumeradiamonds.com/files/ring_sizer.pdf.